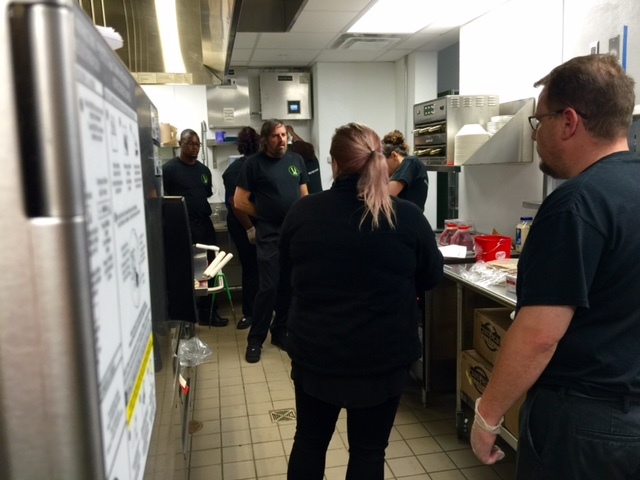 UFood Grill has attracted top talent from the franchise industry to lead our brand and franchisees to success. Our executive leadership team has helped build some of the biggest names in franchising like Red Mango, Dunkin’ Donuts, 7-Eleven, Quiznos and Outback Steakhouse. We know what it takes to build a best in class brand. With over 100 years of restaurant and franchising experience combined, our leadership team has the experience and knowledge to set our franchisees up for success. Read more about each member of UFood Grill’s executive leadership team below! Sal has over 18 years of experience in the franchise industry, specifically in multi-unit restaurant operations, new concept development, store design, construction management and real estate selection. Before joining the UFood Grill family, Sal previously served as the Vice President of Operations and Vice President of Real Estate and Construction for Red Mango USA where he helped the franchise open a total of 400 stores in just seven years. Samantha Rincione is a franchise Industry expert with over 12 years of experience in franchising and brand development. Samantha previously was the largest multiple store franchisee with Red Mango Yogurt and Smoothies as well as Red Mango Cafe and Smoothie Factory with 10 locations. Samantha was directly responsible for assisting Red Mango corporation with over 200 successful Discovery Day meetings at her restaurants as well as utilizing her locations as corporate training stores, resulting in successful franchise sales. Samantha understands both the franchisor and franchisee side of the business. Kat Kaufman is director of operations and training at UFood Grill. Before joing the team, she served in training and operations positions for award-winning brands Shake Shack and Red Mango. With more than 10 years of industry experience, Kat pledges to shape UFood Grill into the leader in optimal training and restaurant operations. She is a graduate of James Madison University.